2 Amaimo Eziama Ossa, Umuahia, Nigeria. De Merit Executive Suite and Hotel is an affordable hotel located at 2 Amaimo Eziama Ossa, Umuahia, Abia, Nigeria. Guest will enjoy the quality of service provided by the staff at the hotel. They have available the Single Room, Single Standard, Double Standard, Executive and Ambassador rooms, all at affordable prices. 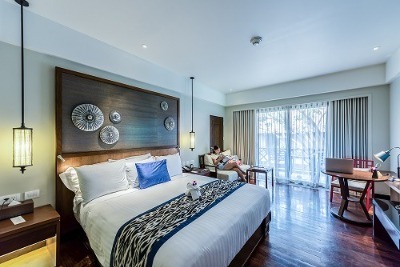 Each room at De Merit Executive Suite and Hotel has a spacious bathroom, king-sized bed, cable connected TV set, refrigerator, bedding items and air conditioner. Also available at the hotel are free WiFi, a restaurant, free parking, a bar and round the clock security. Guests will enjoy a variety of Nigerian dishes at the on site restaurant. In addition, guests can also enjoy airport shuttle service(additional charges), ironing service(additional services) on request. De Merit Executive Suite is an affordable hotel in Umuahia, Abia. The standard of this hotel is really appalling to me. The rooms were damp and smelling talk less of the bathroom. I changed my room but It was worst. I ran out the next morning. Have nice pictures of De Merit Executive Suite ?